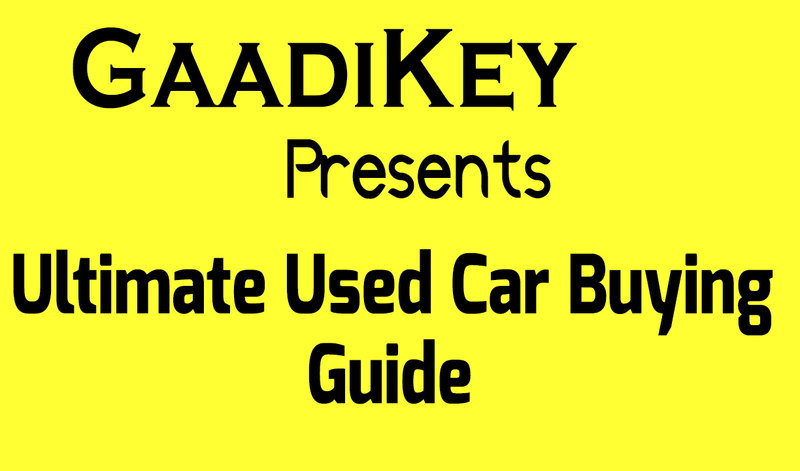 We at GaadiKey have made a quick pick guide to analyse few things before buying an used car. Always do a research and find the type of car that suits you. Everyone will have different needs. If you are a small family who can adopt for Hatchback or sedan or if you have family about six or so you can jump to Xylo or Innova. Once you have a model in your mind all you need to get plan about budget. It depends on your financial environment. SET A MAXIMUM LIMIT THAT YOU CAN AFFORD. Once your budget is finalised, look for a source. In todays world there are hundreds of possible ways. Start from the internet which has vast possibilities. Narrow down your focus to your city. There are many classifieds site which provides some nice results. I recommend you to use Olx and Quickr. Note: Do not start searching with budget in your mind. Search for the model. And then filter it according to your price. If you are not comfortable with internet. There are many car dealers, brokers and auto consultant who can make your job simpler if a small amount fee. Share your opinions with your colleagues, friends and family members. Because you can find someone in your circle who can either willing to buy or sell cars. Because four hands are always stronger than two. After you have found the best choice, get a mechanic and your friend who is expert in cars with you. Share the details with them and don’t hesitate to ask for suggestions. Allow your mechanic to completely check the car for you. Ask the owner for a test drive. If you are lucky take the car for about 1 hour drive. Try to ride in both highways and in high traffic roads. As it can be helpful to determine its conditions. Look at interior and exterior of the car. Check its paint quality and tyres conditions. If you are happy with the above don’t forget to check legal things like Original Choice of vehicle, NOC to check whether there are any out standing loans on the car and Insurance paper. Also check for registration of car. Check the market value of the car and resale value. And if the car is good condition then pay little above your budget is allowed. Else stick with the budget. Try to negotiate with the owner to bargain the price range. Stick with low and move up when required. Make sure all the document is transferred to your name before the delivery of the car. This article is a part of our Sunday read series.